Orange Ginger Chicken Fajitas are the cure to fajita fatigue. 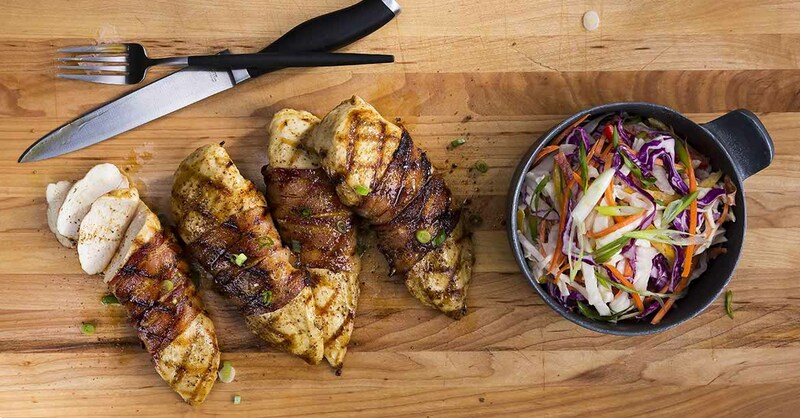 Mexican flavor and Asian fusion come together in this Orange Ginger Chicken Fajita recipe. When you send out an invite to Fajita Night, you don’t tend to get a lot of “no’s” on the RSVPs. But we’ve got a recipe that’ll throw your guests for a loop if they’re expecting a run-of-the-mill fajita. These Orange Ginger Chicken Fajitas are destined to be the talk of the neighborhood for years to come. What makes these fajitas so unique? They’ve got a bit of an Asian twist. All that flavor comes from a couple of places. First, from the grated, fresh ginger. And second, from our pretty unique Sizzlin’ Sweet Chili Thai Seasoning. Asian fusion might not be a flavor you’d expect in your fajitas, but here at Twist’d Q, we don’t mind bending the rules a little bit. Our Sizzlin’ Sweet Chili Thai Seasoning brings you a savory-sweet blend of sea salt, coconut sugar, sesame fused with Thai spices and chillies. 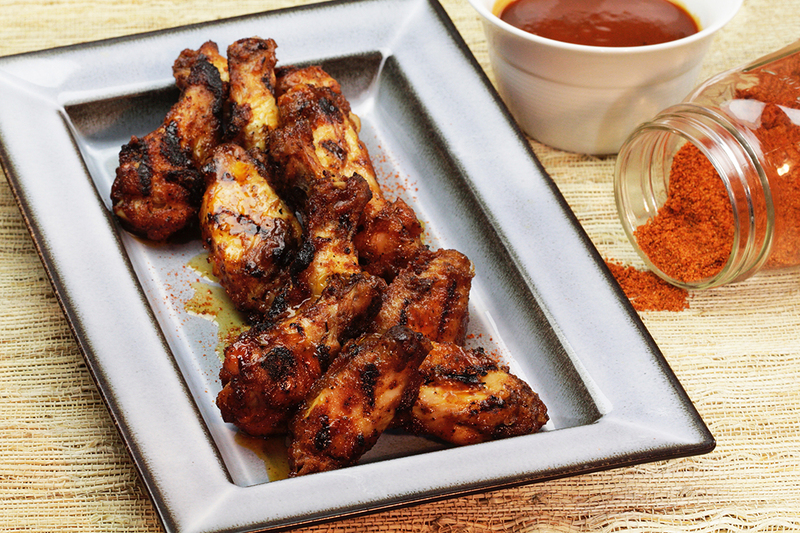 This seasoning is the kind of stuff only world-renowned pitmasters could bring to the table. Let’s make sure that chicken comes out perfect. Cooking the chicken in two batches ensures that the chicken is seared evenly rather than steamed in an overcrowded pan. Over-seasoning is a great way to ruin a perfectly cooked chicken, so take some extra time to get your measurements correct. In a large bowl, whisk 1/2 cup oil, orange juice, 2 tablespoons Sizzlin’ Sweet Chili Thai Seasoning and ginger. Add the chicken and toss until the chicken is fully coated. The freshness of the ingredients can go a long way in a recipe like this. Try browsing your local farmers market to find the freshest carrots, mushrooms and jalapeños. 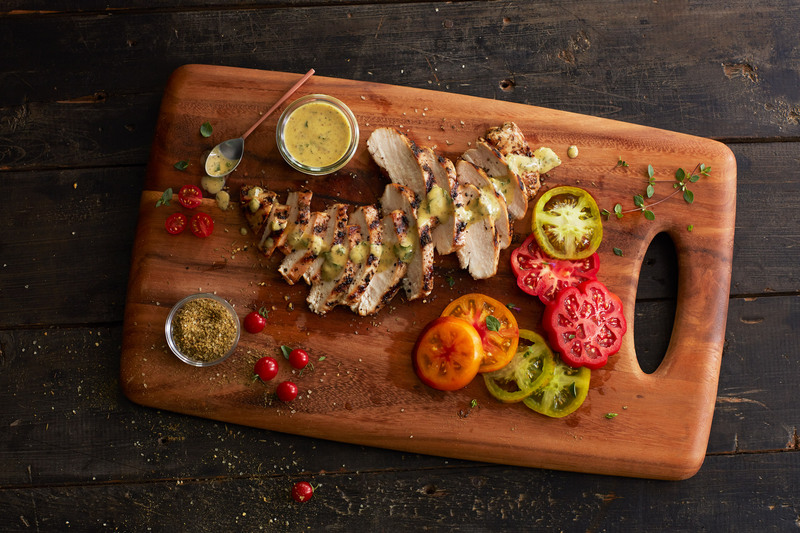 Love that Sizzlin’ Sweet Chili Thai Seasoning? We’ve got some more recipes for you to try out. Try our Asian Fusion Chicken Tacos as a logical follow-up to these fajitas or our Asian Fusion Stir-Fry for a quick weekday dinner. Preheat oven to 375°F. Remove the tenderloin on the underside of each chicken breast. Lay chicken between plastic wrap on a cutting board. Use a meat mallet to pound the chicken to 3/4-inch thick. Cut the chicken into 1/2-inch-thick slices. In a large bowl, whisk 1/2 cup oil, orange juice, 2 tablespoons Sizzlin’ Sweet Chili Thai Seasoning and ginger. Add the chicken and toss to coat; cover and refrigerate for 1 hour. In a 13 x 9-inch baking dish, toss the carrots, mushrooms, onion, 2 tablespoons oil and remaining 1 1/2 tablespoons Sizzlin’ Sweet Chili Thai Seasoning. Roast the vegetables 20 minutes or until the vegetables are tender. Remove the chicken from marinade; discard marinade. In 2 batches, in a large skillet, heat 1 tablespoon oil over medium-high heat. Add half the chicken and cook 5 minutes or until an instant-read thermometer inserted into the chicken reaches 165°F, stirring frequently. Transfer the chicken to bowl; keep warm. Repeat with the remaining 1 tablespoon oil and chicken. 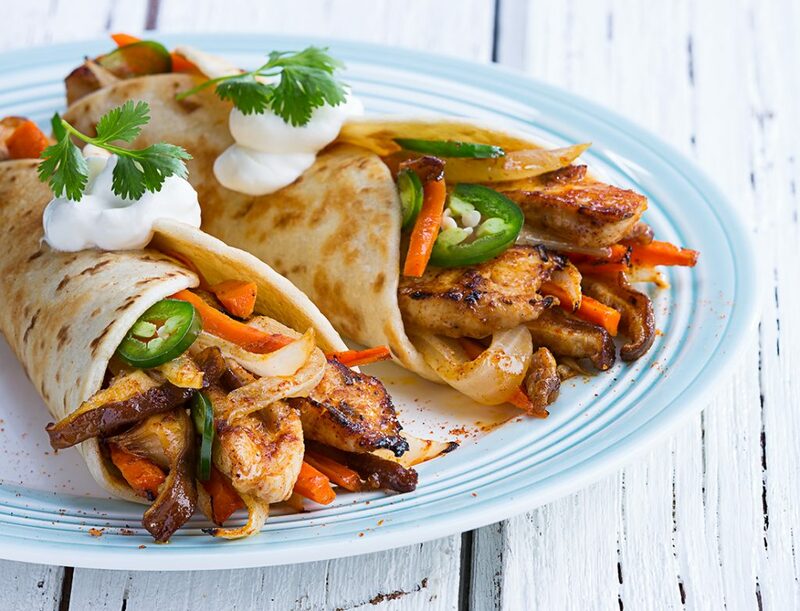 Serve chicken and vegetables in tortillas. A cast iron or stainless steel skillet works well to ensure a hot surface to cook the chicken quickly. Cooking the chicken in 2 batches ensures that the chicken is seared evenly rather than steamed in an overcrowded pan. It’s important that the oil is hot before adding the chicken to the skillet for a better sear. To warm the tortillas, stack them on large microwave-safe plate between 2 damp paper towels. Heat in the microwave for 35 seconds or until warm. Serve topped with sour cream and sliced fresh jalapeño peppers.